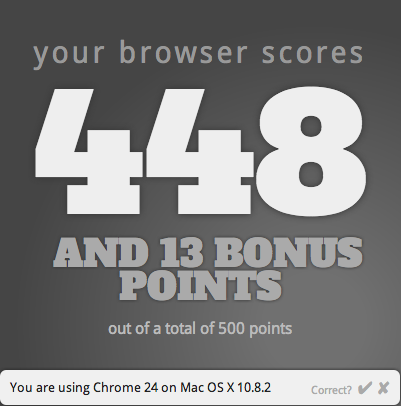 I’ve decided to post basic browser tests for the four main browsers on Mac OS X: Chrome, Firefox, Opera, and Safari. These tests will be with the latest browsers as of date of testing as well as the most recent version of Mac OS X. * Remember, this is not a performance test but simply a test to see how well each browser supports the various HTML5 elements. ** When running this test the amount of web technology compliance became evident. 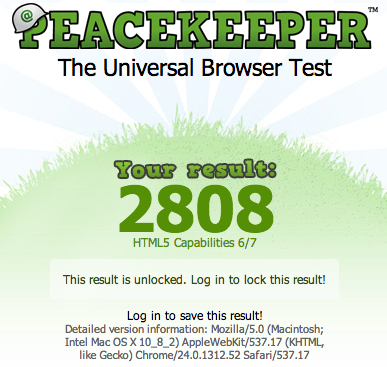 Chrome was clearly the most compliant as far as how many tests it could run in the Peacekeeper benchmark. It was closely followed by Firefox and Safari, respectively. It is interesting to note that while Chrome has dominated the Windows browser performance on this site for quite some time Safari performs considerably better on its native platform. No real surprise here. 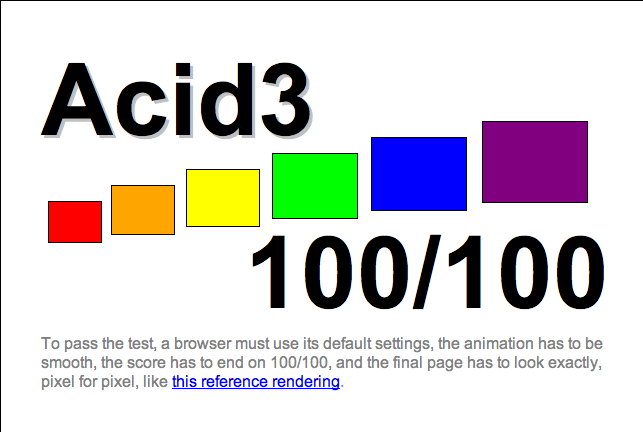 All four browsers score a perfect pixel-for-pixel result in the Acid3 test.